"There's just a fundamental question of whether we're going to live in a society where these dragnet surveillance systems become routine," said Catherine Crump, a staff attorney with the ACLU. The civil rights group is proposing that police departments immediately delete any records of cars not linked to a crime. Law enforcement officials said the scanners can be crucial to tracking suspicious cars, aiding drug busts and finding abducted children. License plate scanners also can be efficient. The state of Maryland told the ACLU that troopers could "maintain a normal patrol stance" while capturing up to 7,000 license plate images in a single eight hour shift. "At a time of fiscal and budget constraints, we need better assistance for law enforcement," said Harvey Eisenberg, chief of the national security section and assistant U.S. attorney in Maryland. Law enforcement officials also point out that the technology is legal in most cases, automating a practice that's been done for years. 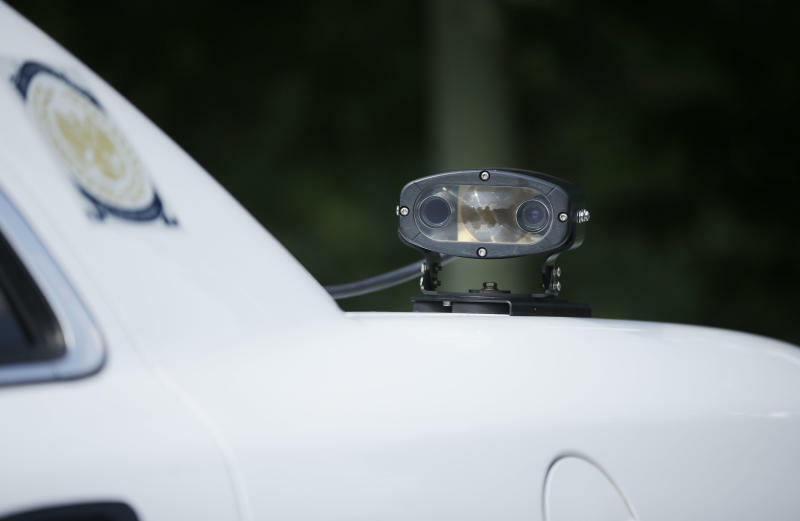 The ACLU found that only five states have laws governing license plate readers. New Hampshire, for example, bans the technology except in narrow circumstances, while Maine and Arkansas limit how long plate information can be stored. "There's no expectation of privacy" for a vehicle driving on a public road or parked in a public place, said Lt. Bill Hedgpeth, a spokesman for the Mesquite Police Department in Texas, which has records stretching back to 2008, although the city plans next month to begin deleting files older than two years. "It's just a vehicle. It's just a license plate." 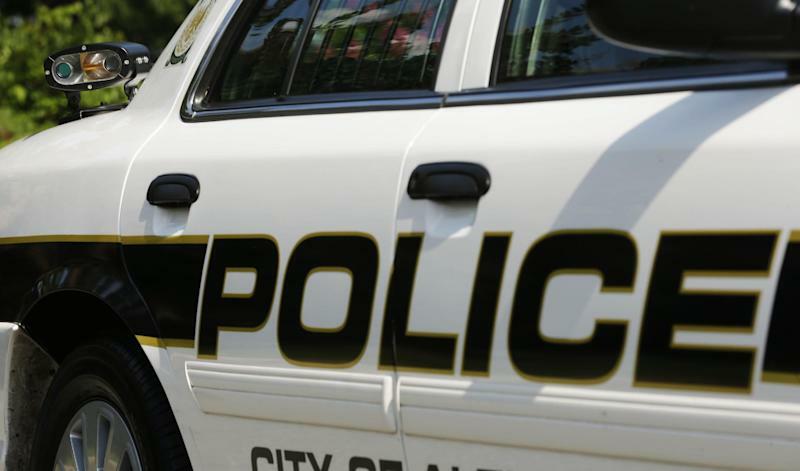 In Yonkers, N.Y., just north of the Bronx, police said retaining the information indefinitely helps detectives solve future crimes. 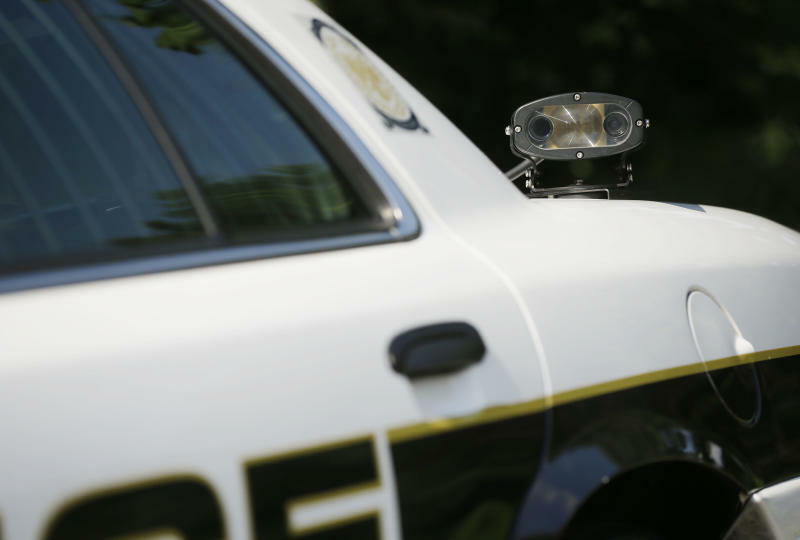 In a statement, the department said it uses license plate readers as a "reactive investigative tool" that is only accessed if detectives are looking for a particular vehicle in connection to a crime. "These plate readers are not intended nor used to follow the movements of members of the public," the department's statement said. But even if law enforcement officials say they don't want a public location tracking system, the records add up quickly. In Jersey City, N.J., for example, the population is only 250,000 but the city collected more than 2 million plate images on file. Because the city keeps records for five years, the ACLU estimates that it has some 10 million on file, making it possible for police to plot the movements of most residents depending upon the number and location of the scanners, according to the ACLU. The ACLU study, based on 26,000 pages of responses from 293 police departments and state agencies across the country, also found that license plate scanners produced a small fraction of "hits," or alerts to police that a suspicious vehicle has been found. In Maryland, for example, the state reported reading about 29 million plates between January and May of last year. Of that amount, about 60,000 — or roughly 1 in every 500 license plates — were suspicious. The No. 1 crime? A suspended or revoked registration, or a violation of the state's emissions inspection program accounted for 97 percent of all alerts. Eisenberg, the assistant U.S. attorney, said the numbers "fail to show the real qualitative assistance to public safety and law enforcement." He points to the 132 wanted suspects the program helped track. They were a small fraction of the 29 million plates read, but he said tracking those suspects can be critical to keeping an area safe. Also, he said, Maryland has rules in place restricting access for criminal investigations only. Most records are retained for one year in Maryland, and the state's privacy policies are reviewed by an independent board, Eisenberg noted. At least in Maryland, "there are checks, and there are balances," he said.